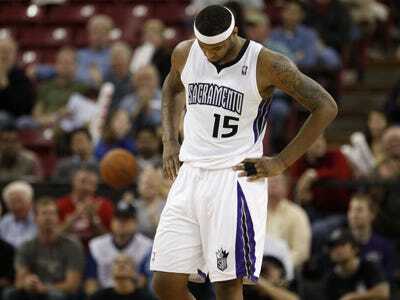 Is Pro Basketball Dead In Sacramento? The Sacramento Kings have until March 1 to decide if they want to apply to the NBA for relocation, and they just might do it.The team has had discussions with officials in Anaheim and the owner of the Honda centre (where the NHL’s Ducks play) who had reportedly offered them a $100 million loan to move into his building. More importantly, the league doesn’t seem to care if they abandon the California capitol. David Stern confirmed over the weekend that Kings have tried (and failed) for so long to get a new arena, that the league office has given up trying to cut a deal with the city. Meanwhile, desperate fans are trying to rally a show of support for the Kings next home game on Feb. 28 — one day before the filing deadline. In the past, a rabid fanbase had helped the Kings thrive in one of the NBA’s smallest markets, but the ageing arena, combined with five straight playoff-less season, and the struggling fortunes of the team’s Vegas owners could push them out the door, killing the city’s biggest entertainment draw.